Commercial Drones or Unmanned Aircraft Systems (UAS) must be operated in accordance with FAA operational rules. What constitutes commercial drone use? Any drone used to provide contract services, i.e. Industrial equipment or property inspection. Selling pictures/videos taken from a drone. Drones used to monitor the progress of your company’s work. 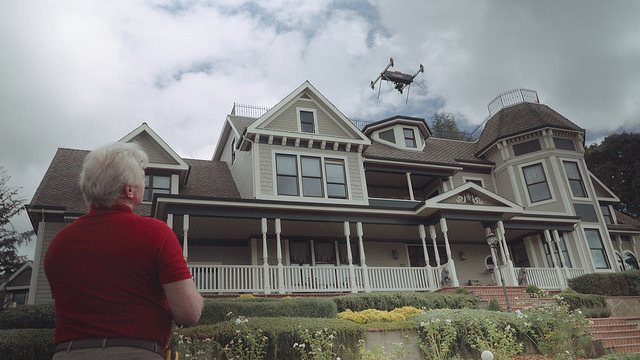 Using drones for professional services, i.e., security or telecommunications. What are the requirements for commercial drone use? Any company using a drone for commercial purposes must be at least 16 years old and hold a remote pilot airman certificate with a small UAS rating or be under the supervision of an individual with a remote pilot certificate, and pass applicable TSA vetting. How do I obtain a FAA Remote Pilot Airman certificate? Are there continuing education requirements for remote pilots? Yes. Pilots must pass the $150 FAA Remote Pilot Airman exam every two years. What are the requirements for the drone/UAS? The drone must weigh less than 55 lbs and undergo a pre-flight check by the FAA Remote Pilot Airman certificate holder. What are the commercial drone operating rules? Fly under 400 ft above ground level unless you are within 400 ft of a structure. Fly during daylight hours or 30 minutes before and after official sunrise and sunset. Do not fly from a moving vehicle in densely populated areas. This entry was posted in Drones and tagged Commercial Drones.